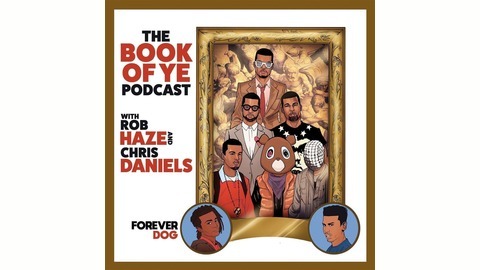 Comedians Rob Haze and Chris Daniels enter the Kanye-verse to explore the cultural significance and artistic legacy of Kanye West. 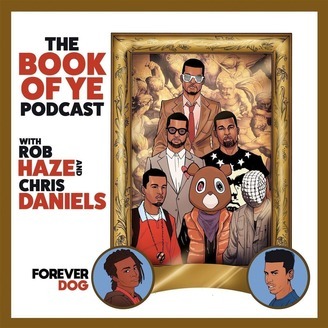 Every episode, joined by a special guest, the duo dives into a different chapter of the ever-expanding legend of the mad genius Yeezy. Produced by the Forever Dog Podcast Network. Who’s Kanye? What’s a Podcast? Everyone’s been waiting for what the Book of Ye boys have to say about the past couple months. Well, Rob and Chris are back behind the mics to talk about their favorite artist...for the last time? PLEASE SUBSCRIBE AND RATE US on Apple Podcasts, Google Play, Spotify, Stitcher, or wherever you get your podcasts. 5 Stars!! Good Reviews! !